Your brain is wired with a negativity bias that makes you fabulous at spotting all the things that are not going well – but it’s not generally as adept at spotting the true, the good, and the possible, and finding ways to build upon what’s working. In an effort to help people evolve from focusing primarily on deficits, Professor David Cooperrider developed a strengths-oriented approach to creating lasting, positive change in our lives, in our workplaces, and in the world at large. This approach is known as Appreciative Inquiry. Uncover strengths people can build upon (discovery). Create positive images and possibilities that pull people into action (dream). Identify the pathways they can take to move forward (design). Motivate people to take responsibility and take action (destiny). 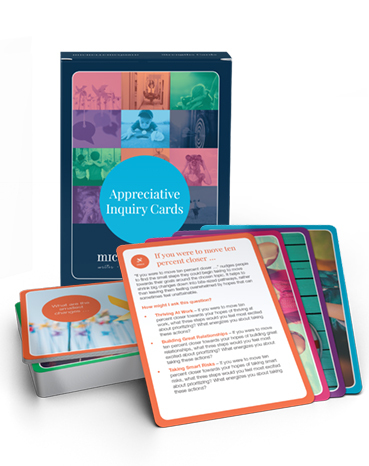 Four introductory cards that define Appreciative Inquiry and explain how this approach can be applied to coaching conversations, workshops and large AI Summits to create lasting change. 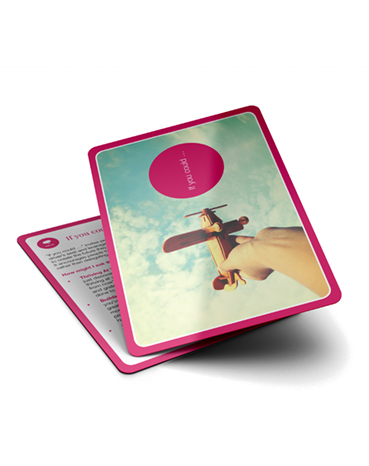 24 Appreciative Inquiry Cards that will give you questions to help you find the true, the good, and the possible during coaching, workshops, and summits. How to use the Discovery, Dream, Design, and Destiny framework to learn the art of asking Appreciative questions. Click the green “Add to Cart” button above to buy your cards today. 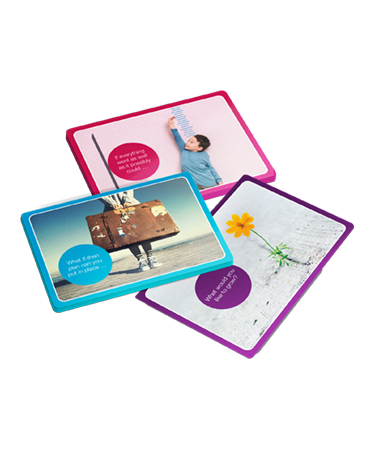 BUY 10 packs or more and get 10% off! 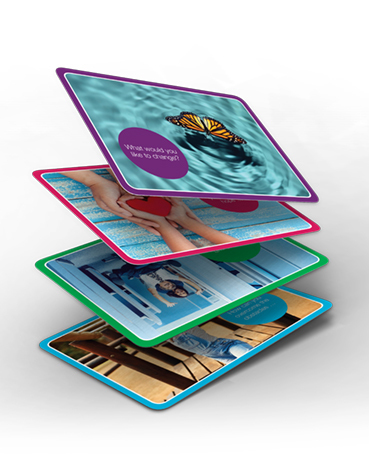 Contact us if you’d like a bulk discount for more than 25 packs of cards.